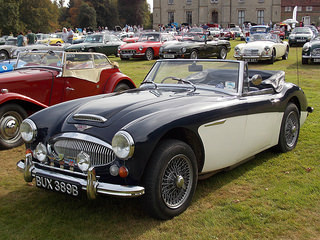 The Austin-Healey 3000 Mark 2 sports car was phased out in October 1963 after a production run of two years in which a total of 11,564 units were built of the three Mark 2 variants. 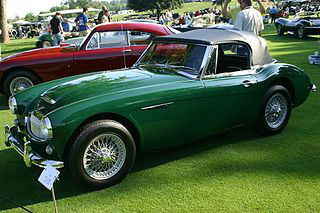 It was immediately succeeded by the Mark 3 which itself remained in continuous production until 1967. Unlike its predecessors, it was offered only as a 2+2 variant. 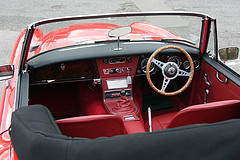 Optional extras were much the same as those available with the Mark 2, and now included leather seats. An obvious change was that the interior trim was now made of Ambla vinyl. 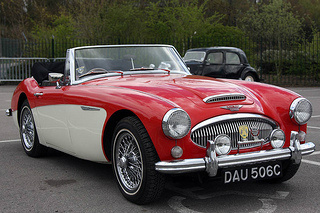 The BMC C-Series 2.9 litre, 6-cylinder engine was now fitted with a new camshaft, uprated valve springs, two SU HD8 carburettors, and a redesigned dual exhaust system. It had servo assisted brakes, which were now standard equipment. With a compression ratio of 9:1, it now produced 148 bhp at 5250 rpm, and 165 ft/lb of torque at 3500 rpm. This "Phase1" version of the Mark 3 sports car was produced from its launch in 1963 until 1964, when a total of 1,390 units were built. 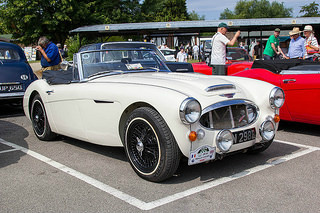 A "Phase2" version was introduced in May 1964 with a modified back axle and alterations to the chassis, which allowed increased suspension travel. A lowered frame allowed ground clearance to be increased by a full one inch. However, by the mid 1960's, even the relatively plush Mark 3 was beginning to show signs of being a little old-fashioned. Even so, during 1966, a total of 5,494 Mark 3's were built, the highest one year production total to date. Unfortunately, by then, BMC had to contend with new US safety and emission regulations. As a result, it was decided that it would not be cost effective to modify the Mark 3 in order to satisfy these requirements. 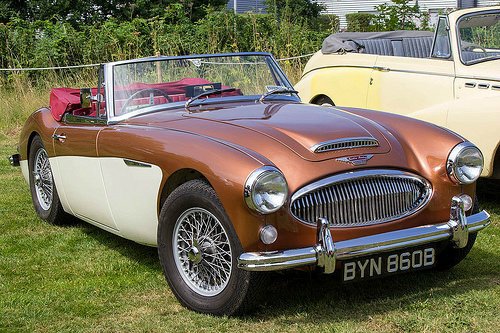 Therefore, sadly, production of the Austin-Healey 3000 sports car was brought to a close at the end of 1967 after a total of 17,712 units of the Mark 3 were built. 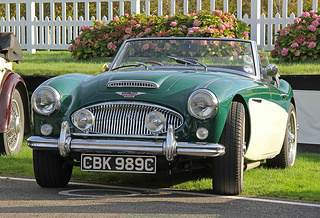 The Mark 3 became a US export success since its aura of glamour and performance suited the mood of that market. The Big Healeys had a successful history in competitions, and competed at the major racing circuits, including Sebring in the US, Le Mans in France, and the Mount Pleasant circuit in Australia. 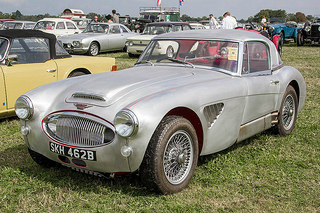 BMC supported a works race and rally team, which was active from the early days of the Healey. However, the works team and their cars was disbanded in 1965 due, in part, to the up-and-coming success of the Mini Cooper S works team. 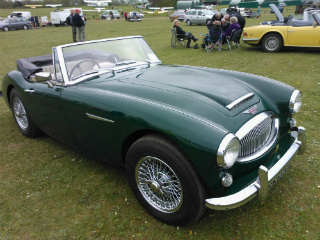 A 1963-67 Austin Healey 3000 BJ8 Mark 3 in good condition would fetch between £25,000/$40,000 and £30,000/$50,000, whilst an excellent example would command in the region of £45,000/$70,000 to £50,000/$80,000.